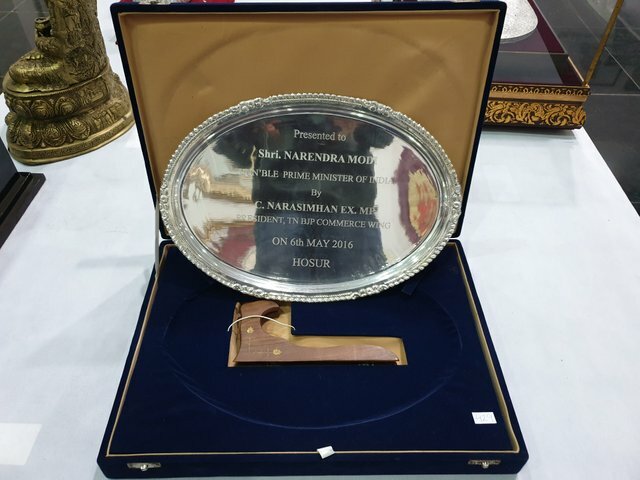 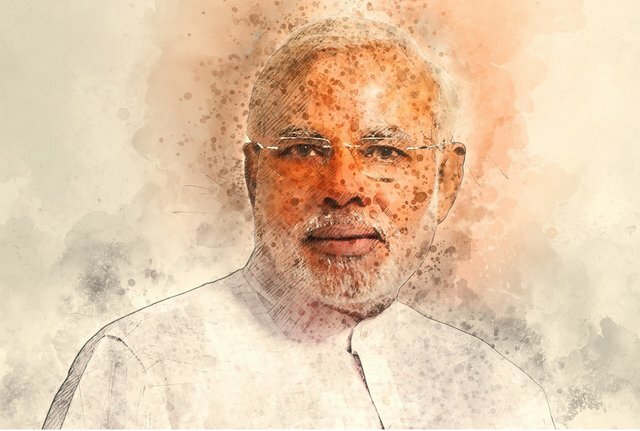 Prime Minister Narendra Modi's Mementos went on Auction! 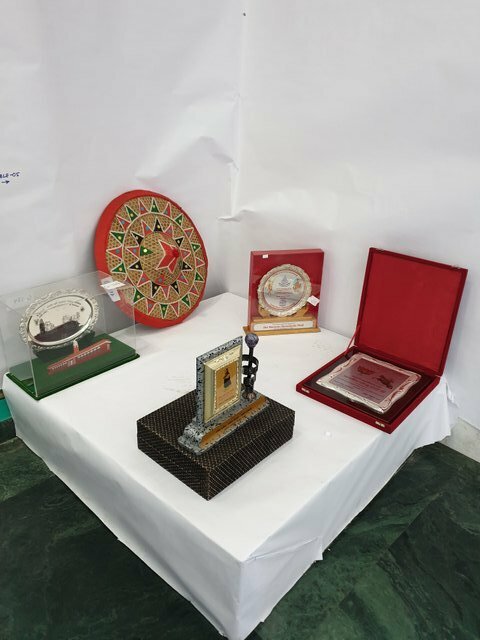 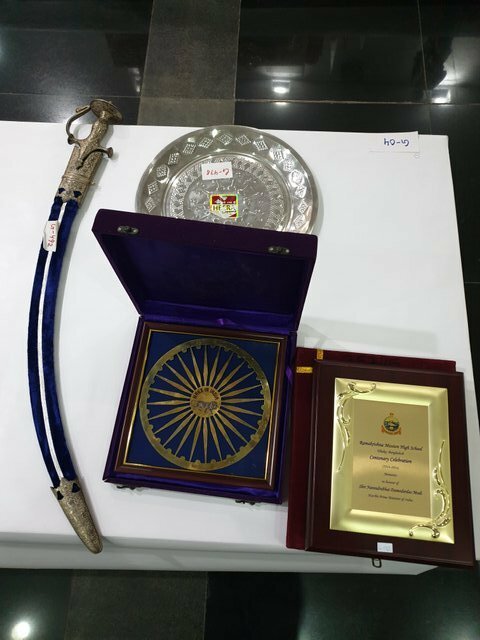 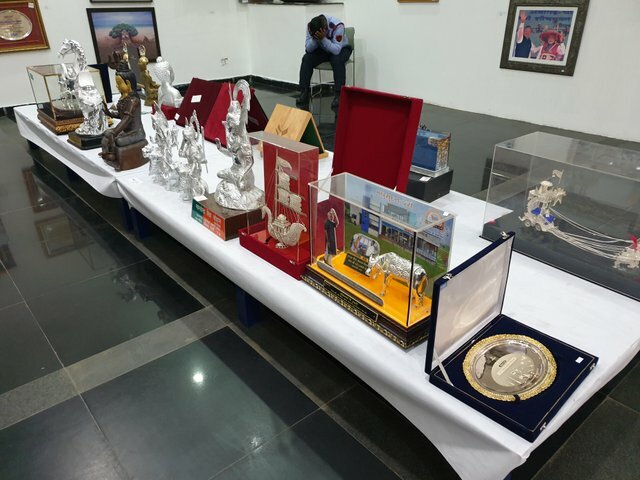 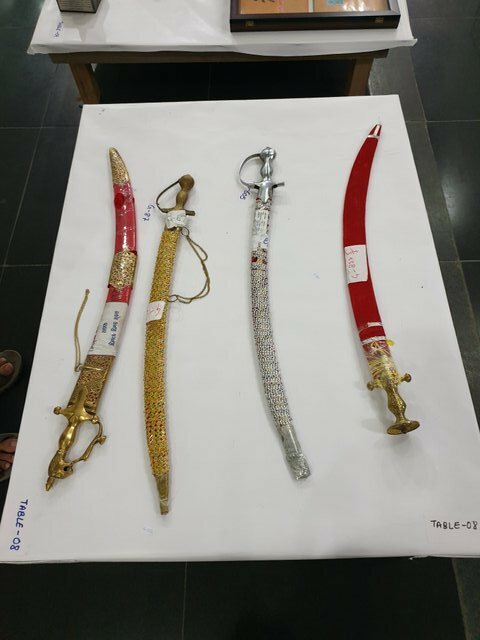 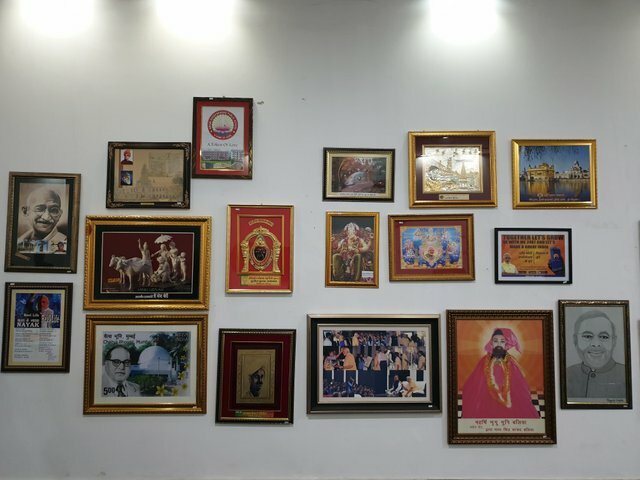 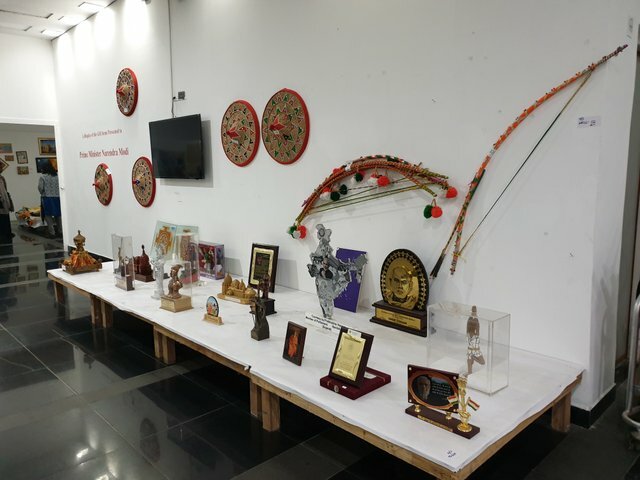 The mementos received by Prime Minister of India Narendra Modi during his tenure went on auction recently. 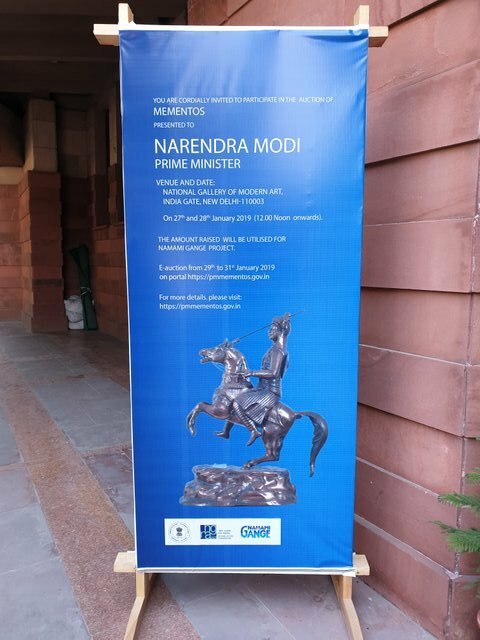 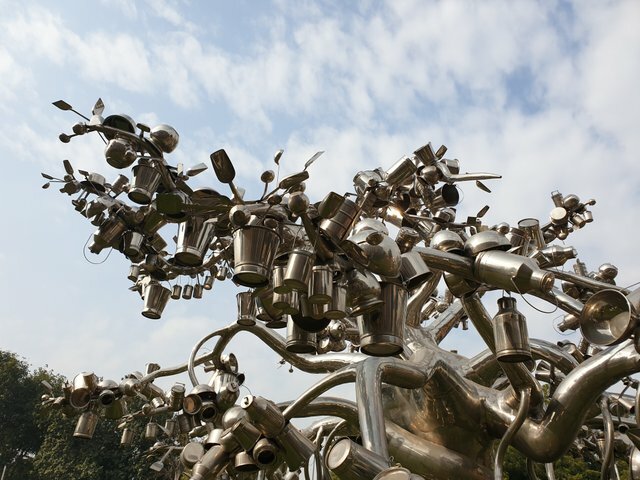 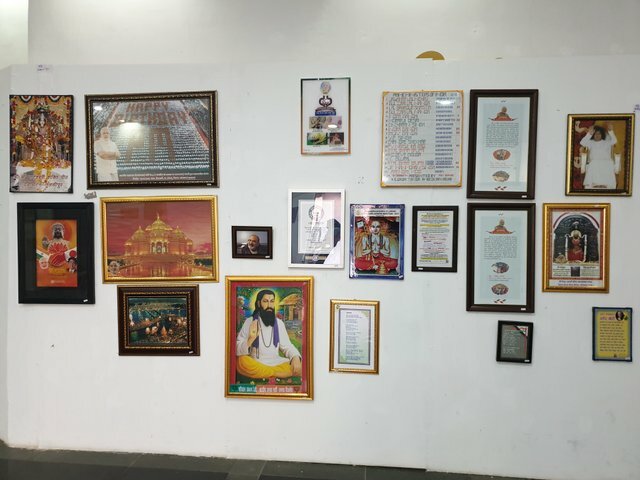 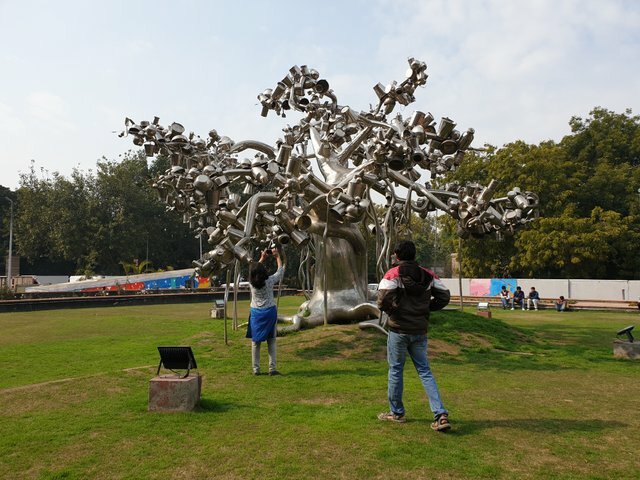 The auction took place at the National Gallery of Modern Art, Delhi on January 27th and January 28th, 2019. 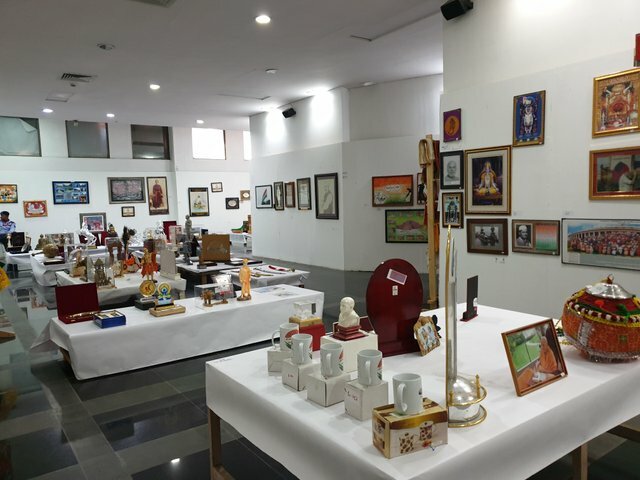 An e-auction was taking place from 29th to 31st to allow people from all over India to participate. 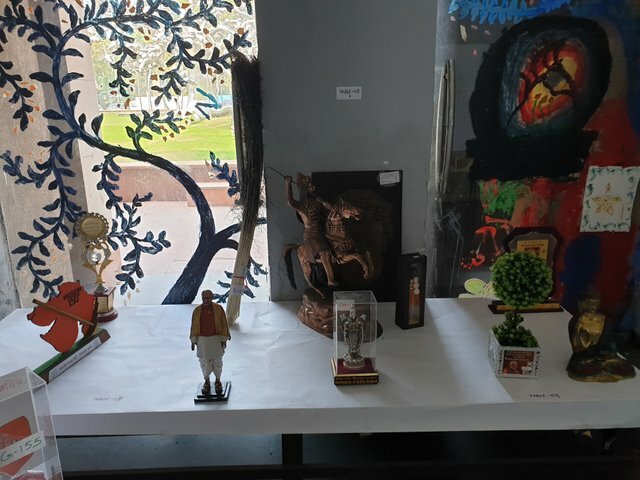 We happened to visit National Gallery of Modern art on the 31st to check out some famous paintings and came across the gallery of mementos luckily. 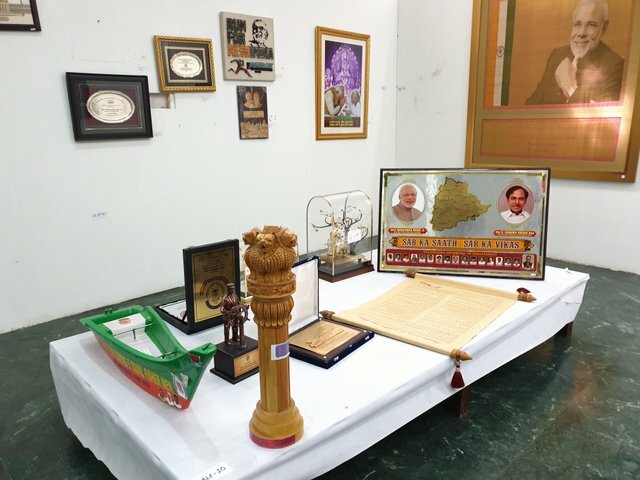 The e-auction was conducted through the website pmmementos.gov.inand in case you are interested you can check out the base prices and the prices the mementos were auctioned for here. 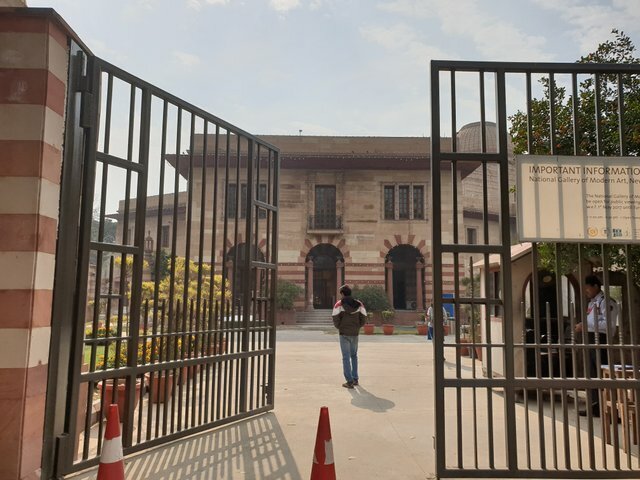 We had to enter the gallery from a side gate instead of the main gate and there was some maintenance work/ renovation going on in the gallery or they were probably making space for some new exhibits. 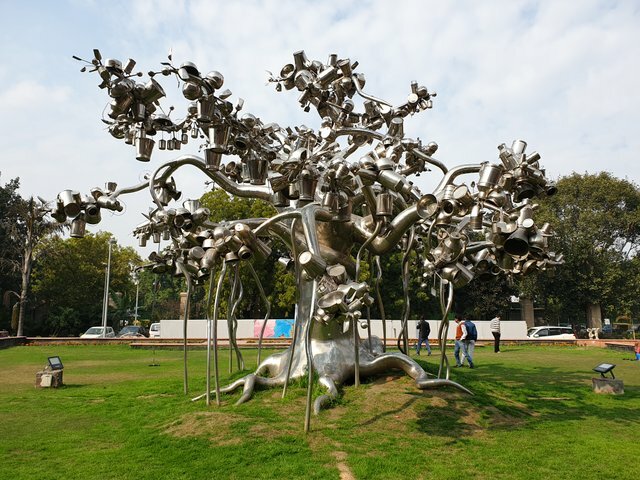 Here's a clearer full shot of the tree. 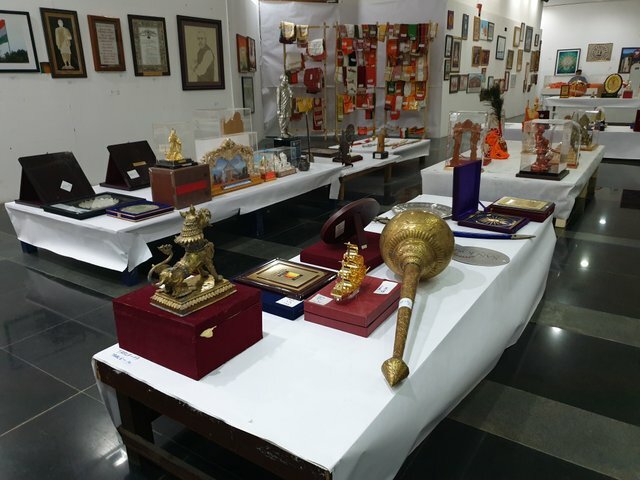 And then we entered the exhibition. 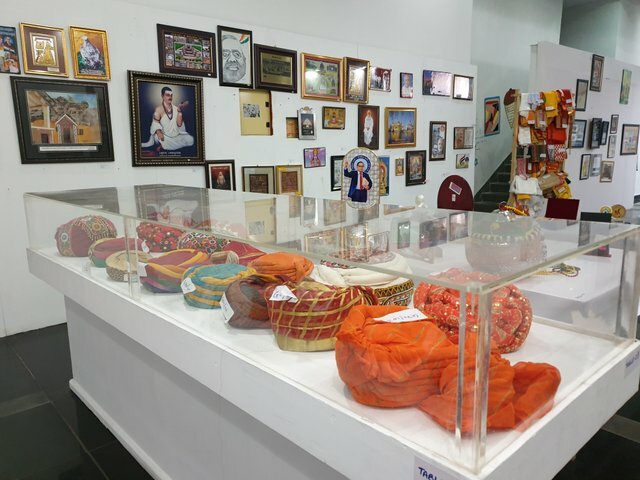 There were over 1800 exhibits ranging from paintings to turbans to swords to shawls to miniature statues and many more. 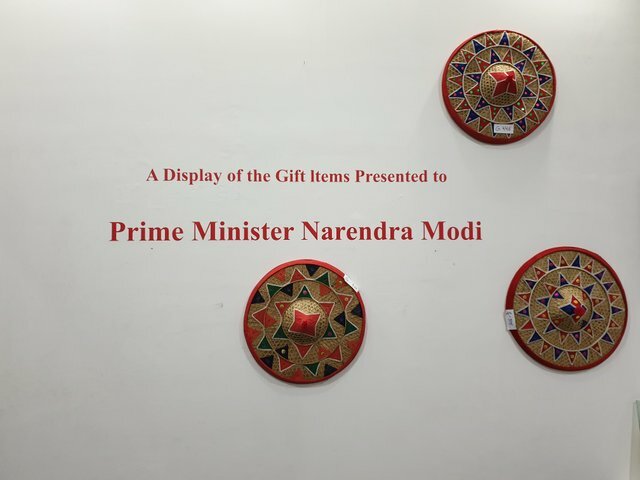 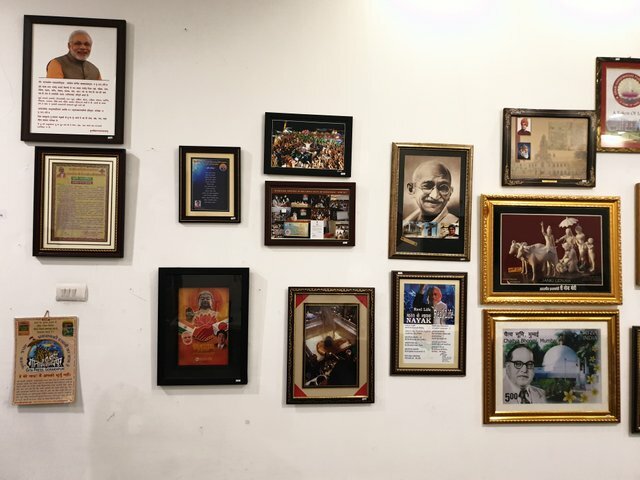 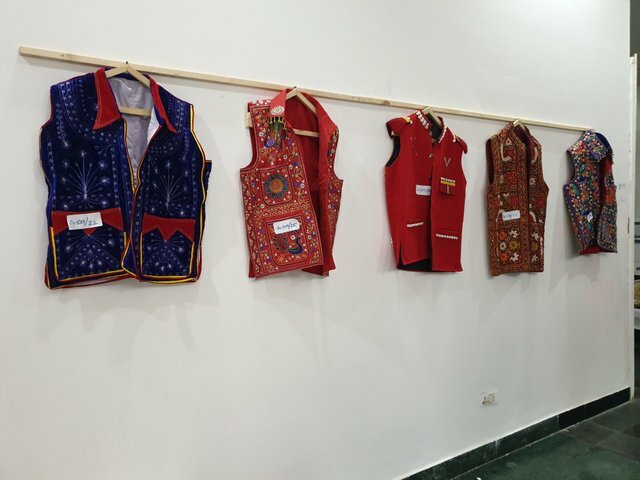 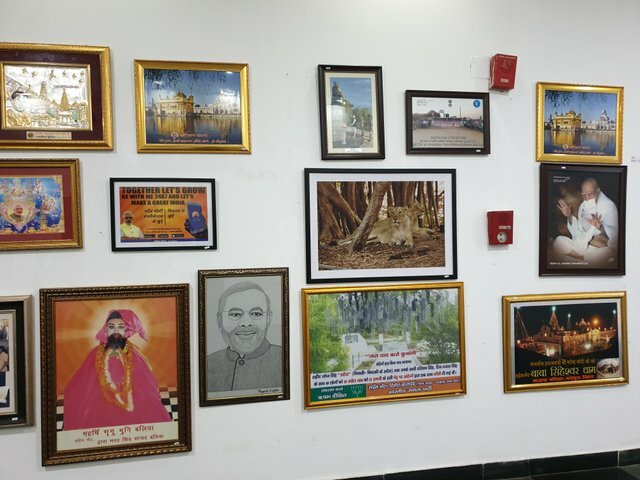 Everything had a base price set by the Prime Minister's Office and the Ministry of Culture starting from INR 100 upto INR 30000 depending on the item. 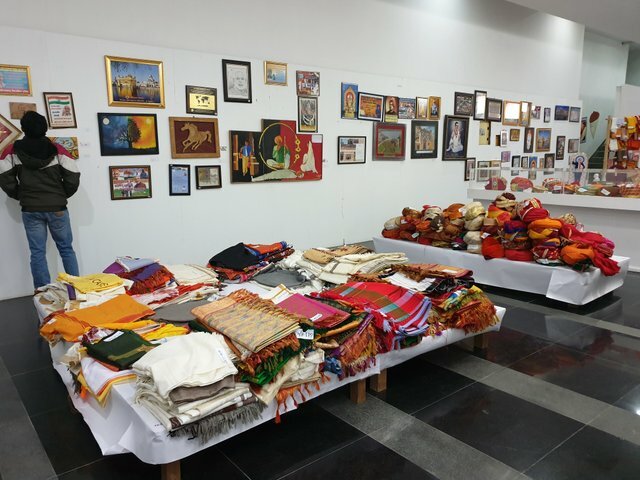 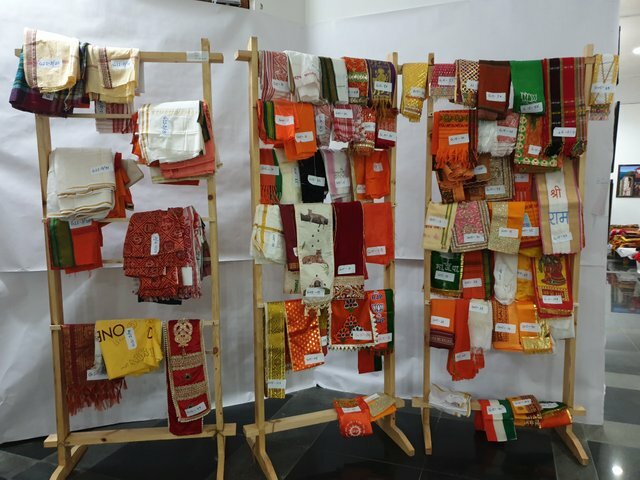 The auction was held to raise funds for the River Ganga Cleanup Project "Namami Gange". 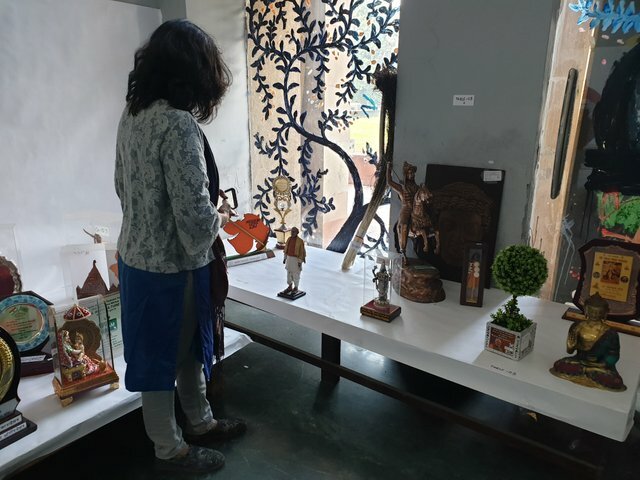 Mom checking out the exhibits. 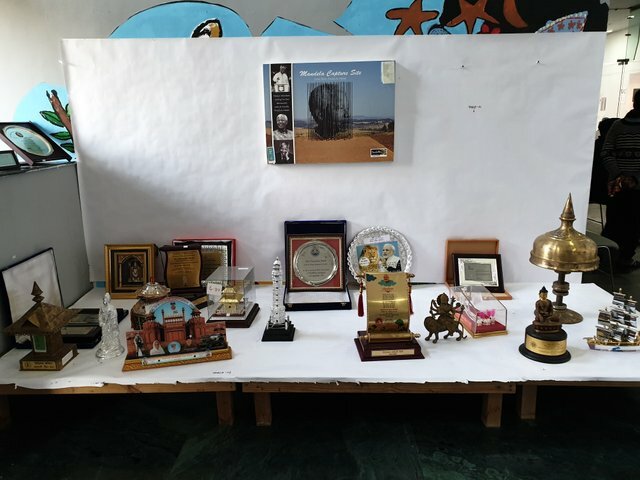 A wooden replica of Ashok Stambh which had a base price of INR 4000 was auctioned for INR 13,00,100. 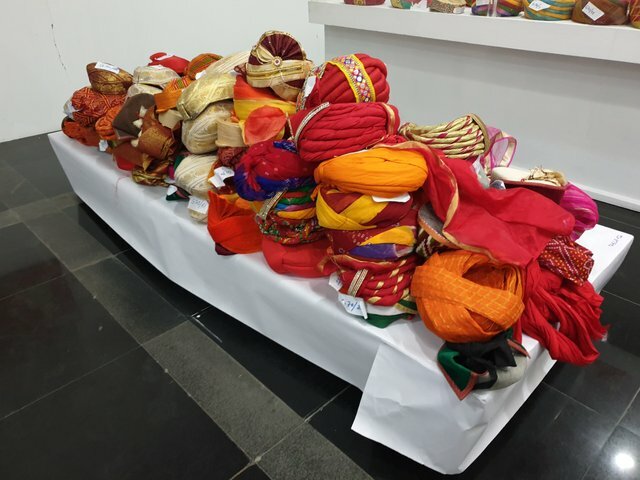 Traditional Horai which had a base price of INR 2000 was auctioned for INR 12,00,000. 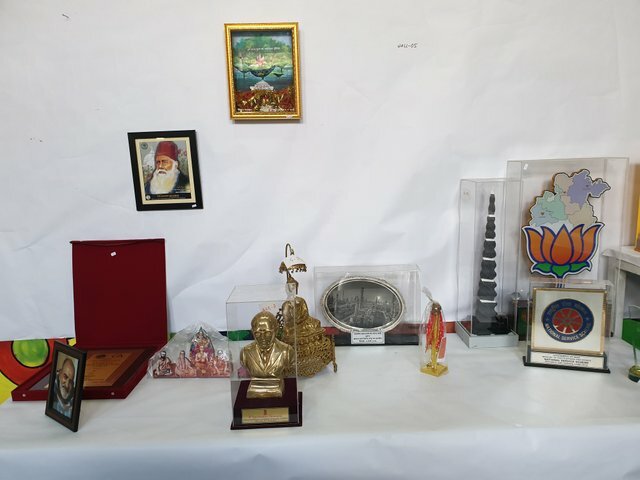 Similarly various other items were being auctioned for prices many times more than their base prices. 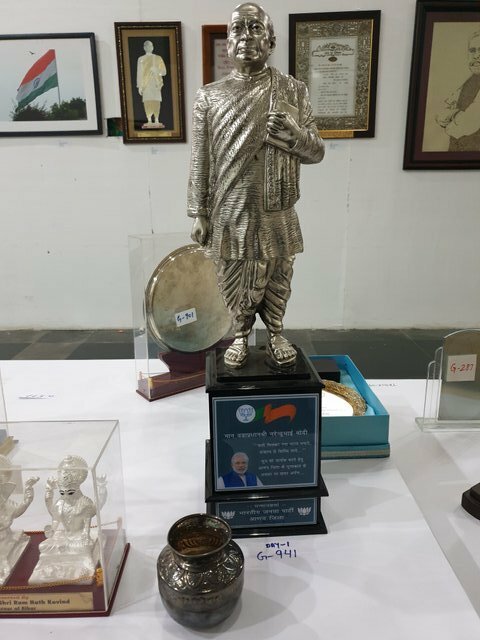 You can check all the details (about what got auctioned for how much) here! 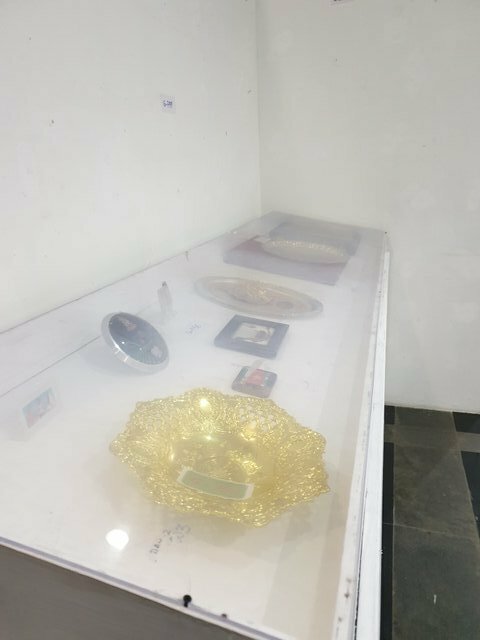 From here, I'll let the pictures do the talking. 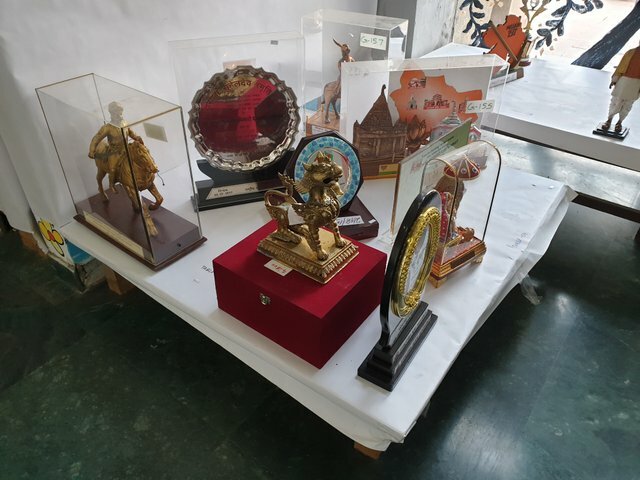 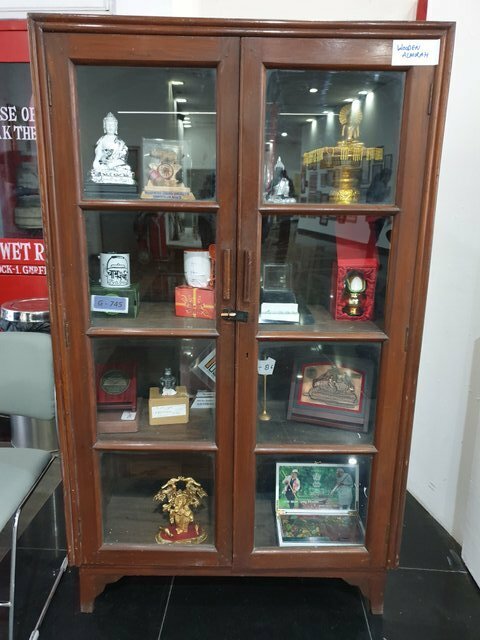 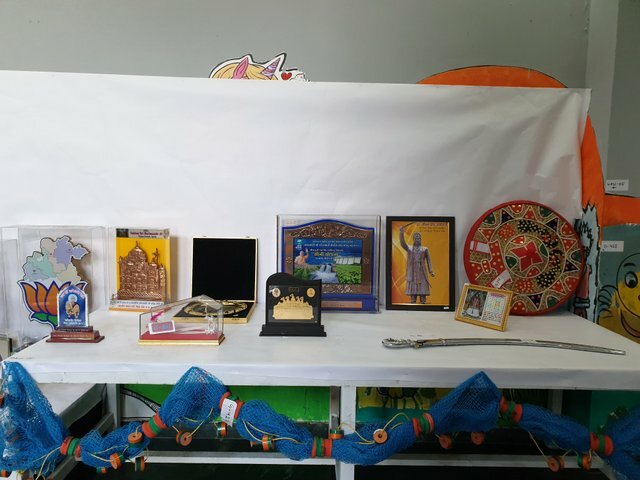 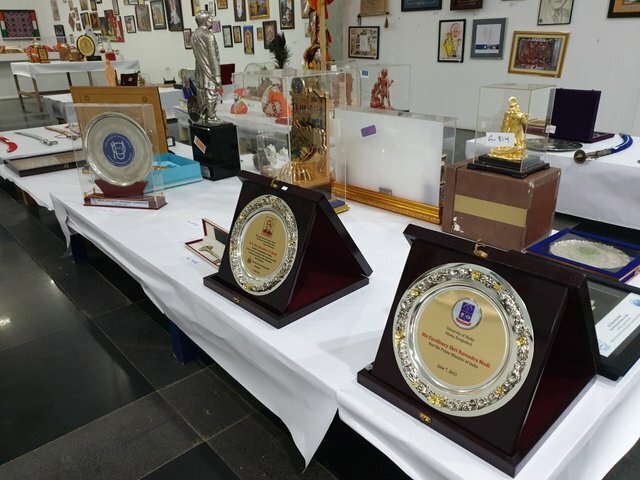 In the below picture, the item that sold for INR 13 Lakhs is in the rightmost above the Buddha statuette. 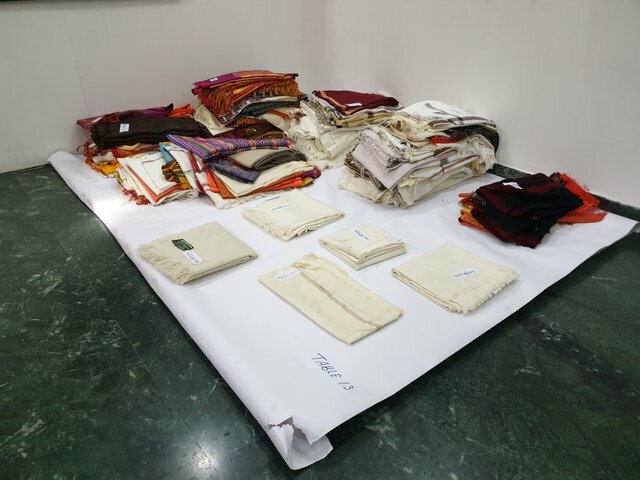 Shawls and so much more items. 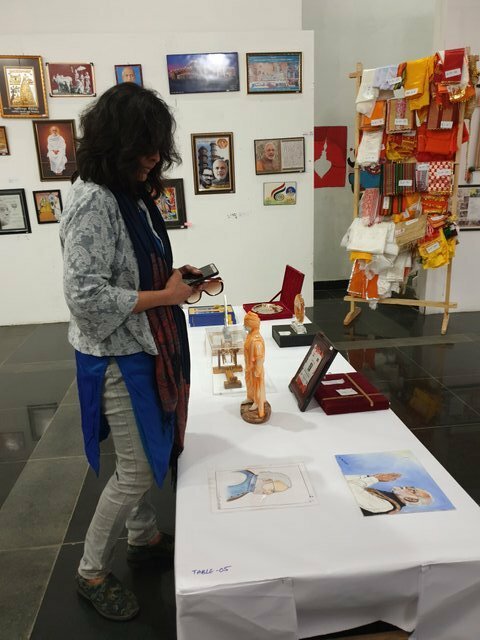 And then we visited the art exhibition which I'll write about in the next post.